How important is it to use social media in your marketing arsenal? For the record, any form of marketing that you use should bring in money for your business. And using social media marketing is no exception. Now… let’s say you’re at a cocktail party. Someone started a conversation with you about a problem they wanted to solve. In between sipping your beverage, you make a recommendation. You tell your acquaintance about a resource they could use to solve their problem efficiently and affordably using a widget and the resource just so happens to sell widgets. Social media is just like being at a big cocktail party, but you’re on the Internet. You can make money for your business using social media, but only when you’re able to get prospects into your sales cycle using your website. A note of warning, though…social media requires an up-front investment of time before it pays off. Therefore, a qualified professional with expertise to make it work for you will be needed. But how do you know WHEN you should add social media to your marketing mix? Well, business experts say that no more than 20% of your revenue should come from one form of marketing. Let’s say that you already use word-of-mouth or cold calling to generate qualified leads. 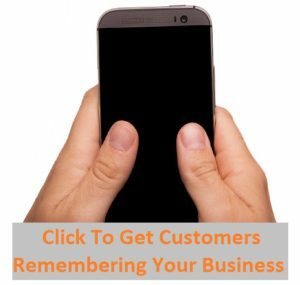 Fifty percent of your revenue may come from word-of-mouth and fifty percent comes from cold calling. Adding another form of marketing in this case could diversify and further strengthen your business. But add other forms of marketing only after: A) You consistently bring in customers using word-of-mouth and cold calling FIRST, and B) There are no more effective ways than social media to reach your target market. Start a blog on your website that publishes how-to information for your target market. Join conversations on topics related to your business on social media sites. Offer a free white paper that solves a common problem for your prospect. If you’re able to generate qualified leads through collecting the contact information of prospects, you’ll be able to develop relationships that can lead to more revenue for your business.